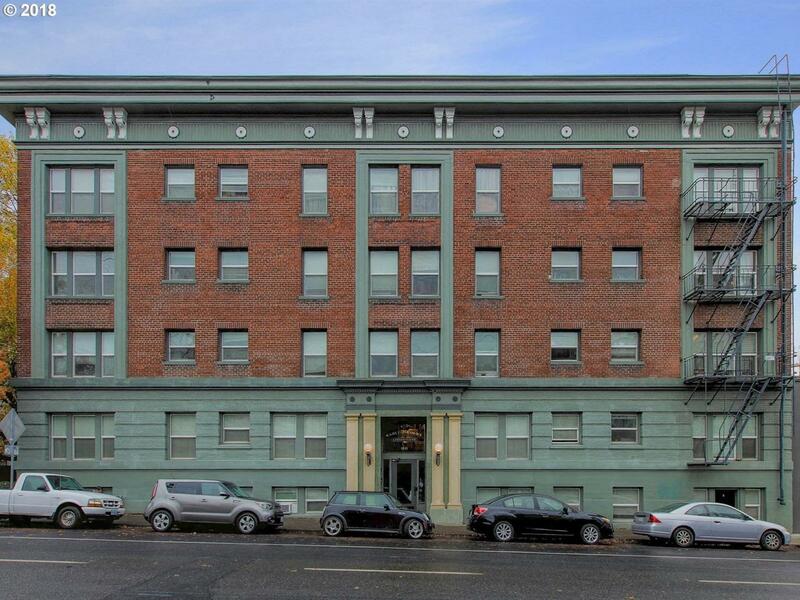 Light-filled, charming 2-bedroom condo located in the Alphabet District in Carlton Court Condominiums, a very well-maintained historic building. This corner unit gets great light with exposures to the south and west. Classic and original hardwood floors, newer vinyl windows, in-unit laundry. A few blocks from NW 23rd, the Pearl, Downtown, the Streetcar, & the MAX. Storage unit included. No rental cap.